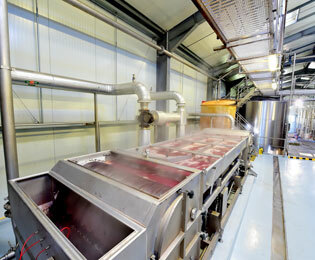 Gulfstream guarantees controlled and effective heating of your grapes. 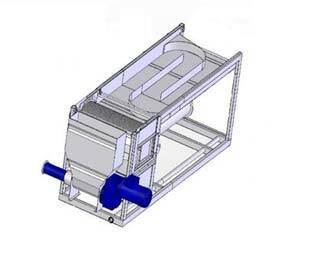 The immersion principle gives instant and consistent results while preserving the quality of the harvest. 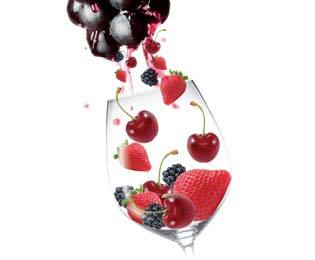 “Gulfstream is an additional winemaking tool for us to adapt certain cuvées to suit the tastes of our consumers by giving more fruity aromas and body. 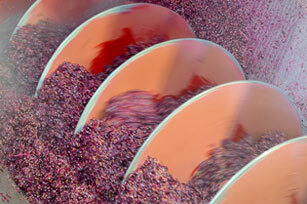 We mix freshly harvested grapes with thermovinified grapes to take full advantage of the two techniques. 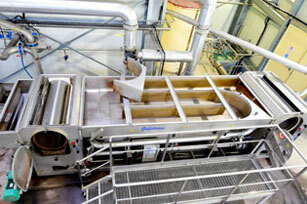 We have 2 Gulfstream machines which each run at a flow of 7 t/h. 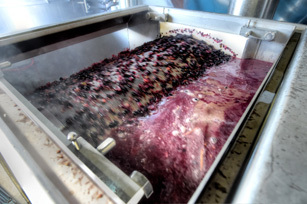 While we heat with one machine, the second allows us to cool the grapes after a few hours of hot maceration. This technology has enabled us to alter the organoleptic characteristics of our wines to meet the demand from certain international markets, thereby increasing our competitive advantage." 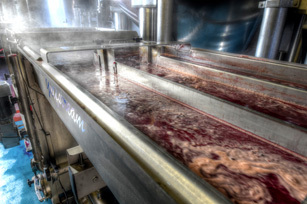 Regulating the temperature of the grapes uses the immersion principle and dynamic cross-flow drainage: the grapes are soaked in a coolant bath and drained in drums which then transfer it. The processing chain is entirely controlled by a programmable automat which regulates the temperature when the grapes leave the heating chamber depending on the type of vinification chosen (Hot pre-fermentation maceration: 70°C, flash detente : 85°C). A simple and intuitive touch screen enables the operator to control the various operating parameters (temperatures, maceration time) and informs the operator of the Gulfstream status. The large evaporation surface of the Gulfstream eliminates a considerable proportion of undesirable compounds from the musts (methoxypyrazine, geosmin and others). 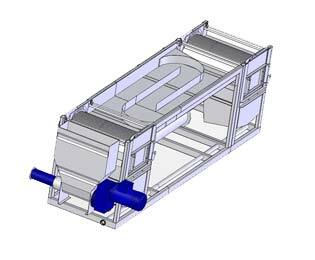 Analytical measurements have shown the effectiveness of this evaporation process. 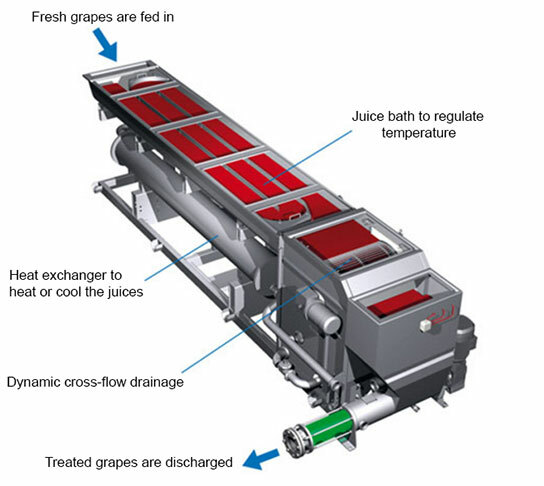 Plus, the process of heating the grapes by immersion has a sanitary effect on any damaged grapes by treating the berries to destroy the harmful enzymes.